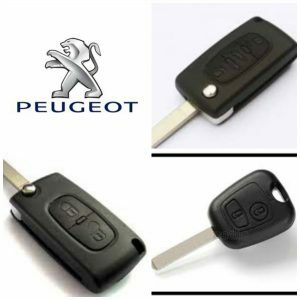 As car locksmiths we provide car keys for all makes, including the Peugeot range of cars and vans. We are able to supply a replacement car key, cut it to fit your vehicle locks and finally program the new key to the car immobiliser system. We do all of this at your location, so it means you can carry on with the least possible disruption. If you have lost your keys to the car … No Problem we can still create a key and we can do it today … no waiting for days or recovery to the dealers! So if you need a Peugeot 207 key as a spare car key or if you have no key at all give us a call we will have the key in stock and can do the job today.